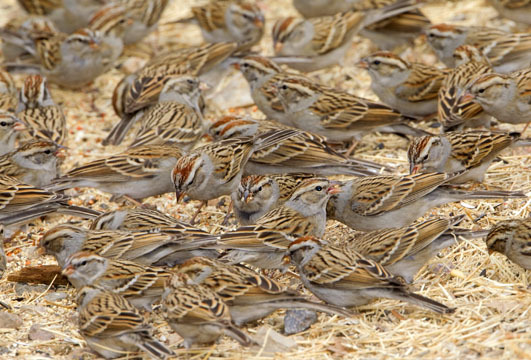 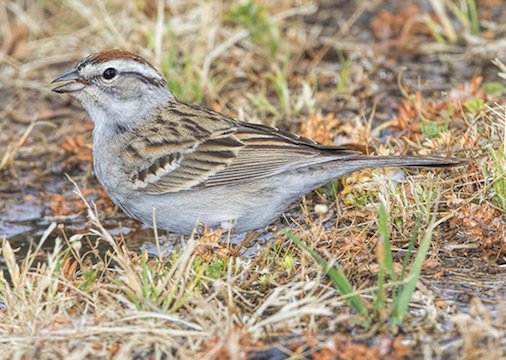 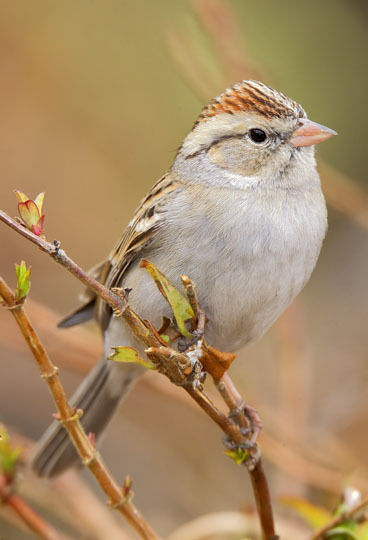 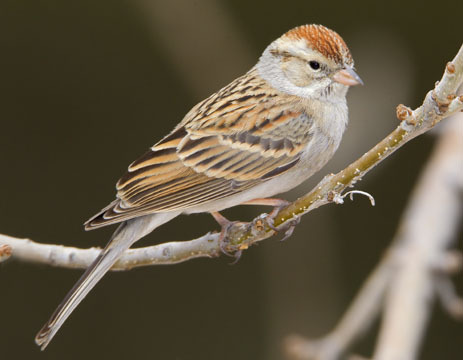 Chipping sparrows, with their bright rusty caps and white eyelines, are familiar across much of North America. 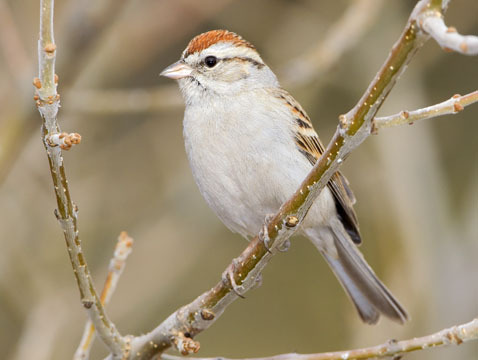 Most of these images were made in late winter near a feeding station in Madera Canyon, Arizona. 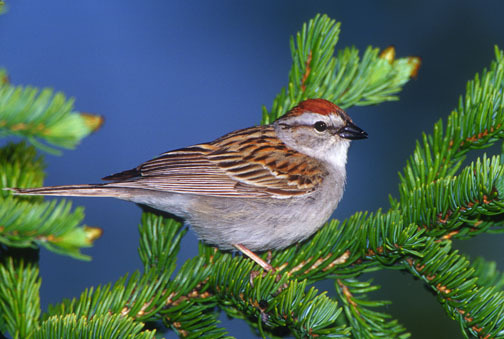 The brightly-colored male in the spruce tree was attending his territory on the outskirts of Churchill, Manitoba (for those familiar with the town, this was at the 'Miss Piggy' site).